Who said camping had to be cramped? Hidden in the mountains of the Himalayas and in true nomadic style, the 13 luxury tents of Chamba Camp are only around for a few months a year, adding an extra layer of exclusivity to this already one-of-a-kind camping experience. Discover centuries old Buddhist monasteries, local traditions and immerse yourself in breathtaking nature. A tranquil mountain escape, complete with faultless service and sensational culinary delights, Chamba Camp will reawaken your spiritual side. Decorated in an elegant nomadic fashion with a dash of decadence to ensure your every comfort, your tent is perfection materialised. Bright and airy, you won’t find a TV in your room, so there’ll be no distractions from the calming surroundings and you can completely immerse yourself in nature. 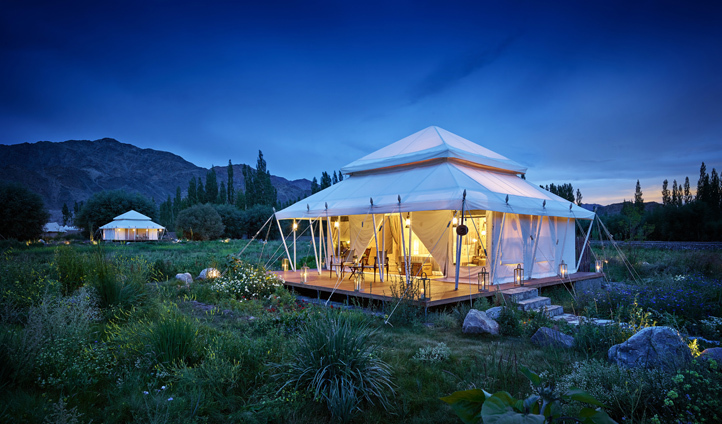 At Chamba Camp you can wave goodbye to suffocating sleeping bags with the 13 super-luxurious tents here all featuring king-sized four poster beds complete with memory foam mattresses and thick duvets to snuggle into. You’ll never be too hot or too cold either with all tents offering air conditioning and heating. Need anything else? Just ask your helpful butler. We could get used to this. Luxurious and laid back the Chamba Camp is truly unique. Wrap yourself in pashmina shawls, bought from local villages, as you kick back and enjoy the starry sky. A stay at Chamba Camp truly is unlike any other camping experience with gourmet cuisine served in a variety of locations, from the elegant dining tent to out in the vegetable garden or on the dock surrounded by candles. 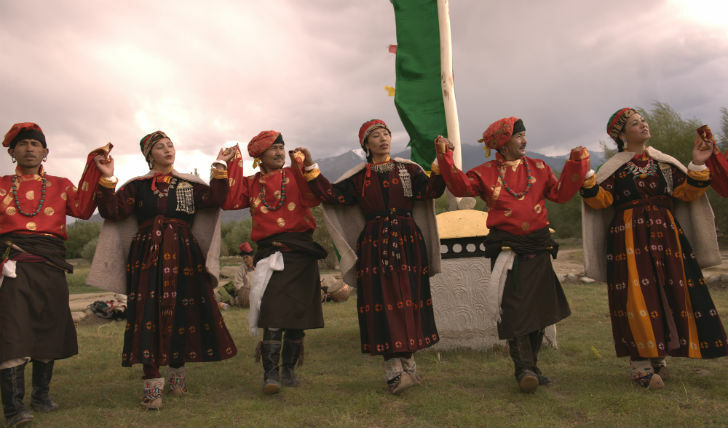 Nothing embodies the spirit of the region more, however, than the unforgettable Cloud Camp BBQ dinners with live cultural performances around the campfire. The real highlight though? The staff. From monasteries to bird watching, archery to river rafting, there really is nothing that these expert guides do not know about and they’re all too willing to share it all with you.